ZF Aftermarket has appointed Adam Griffiths to the newly created role of Marketing Lead for the UK and Ireland. He will head a team, which will roll out the key messages of the organisation’s aftermarket brand portfolio. This includes: the Sachs brand for clutches and shock absorbers; the premium Lemförder steering range; TRW’s Original Equipment ‘Corner Module’ offer of braking, steering and suspension; the Boge range of shock absorbers and complimentary products, as well as the overarching umbrella brand of ZF Aftermarket itself. 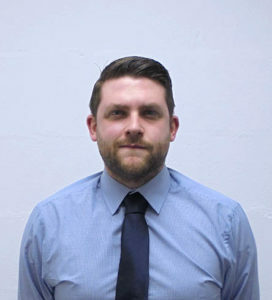 Adam will be based in Wrexham and report to Kevin Price, Zone Marketing Leader UK, France Benelux. In this role, Adam is tasked with uniting the legacy marketing groups of ZF and TRW in the UK & Ireland, to form one cohesive team. The team will then provide full marketing support to its customers as it sells its market leading products to the independent aftermarket garages.